Entrée to Black Paris - What’s New - April 2017 - Entrée to Black Paris is proud to work with La Cima Elementary Charter School on study abroad. 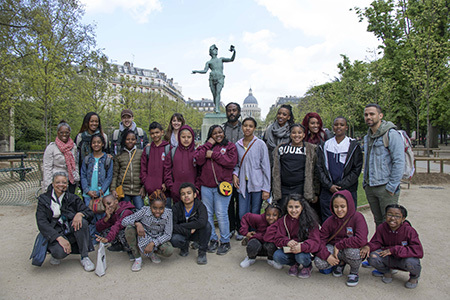 For the second straight year, Entrée to Black Paris has had the pleasure and privilege of providing our Black History in and around the Luxembourg Garden tour to students and chaperones from La Cima Elementary Charter School in Brooklyn, New York. The fifth graders who participated in this excursion underwent a selection process and were required to complete a reading list before making the trip. They were just as prepared for the subject matter presented in the tour as many university students who have taken our walks. 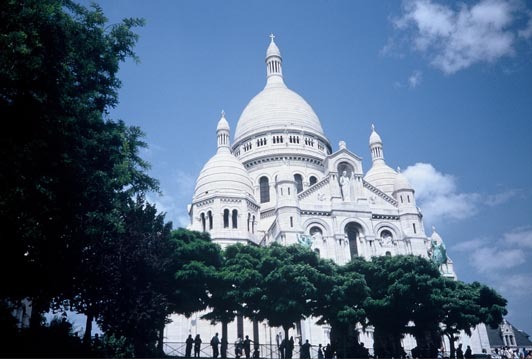 Their exuberance and curiosity about life in Paris is inspiring!